Soft Bait For Big Bass!! Thank you for visiting HagsTornadoBait.com! I’m Tommy Hagler and we started Hag’s Tornado Bait to fulfill a life long dream and with bait designs that we know will catch fish. The word is getting out about how these baits really do produce. We are not bait designers that fish. We are fishermen that design baits! 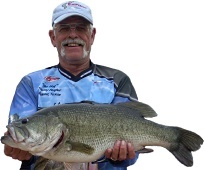 I have been tournament fishing for over 35 years and know what fishermen want a bait to do. I know you will find fish catching designs and quality in all of our soft bait products. We combined the first ever rattle chamber in the core of a soft bait with a special blend of plastic to produce these fish catching soft baits. All of our baits float. When stopped, the baits float to an upward position and therefore do not just lie on the bottom of the lake. When rigged properly, these baits will float off of the bottom or over grass beds, making the baits highly visible to the fish and being a nice soft bait the fish hang on longer. Please watch our videos to see the incredible action that our baits have. We have some of the best dealers across the United States and even outside the United States. Please visit our dealer page for your favorite dealer or a dealer near you. We are extremely proud of the Hag’s Tornado Bait Pro Staff members. These are some of the best men and women there are anywhere. They are available for any questions you may have about our products. Thank you for visiting HagsTornadoBait.com and looking at our products. I know you will be pleased with the action and quality of our baits. See first hand action live from the test tank as we demo the Tornado Worms and the all new Undertaker! Visit our media page for all the latest videos, pictures and media coverage on Hag’s Tornado.